.........Finding Yes!......... 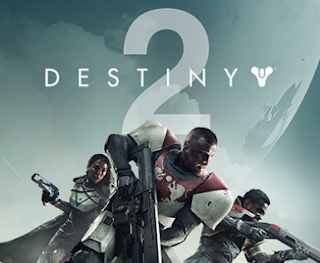 : Destiny 2 is a Huge Disappointment... and I'll tell you why. Destiny 2 is a Huge Disappointment... and I'll tell you why. I normally keep my commentary positive, as I'm not a fan of feeding the negativity internet monster, but this needs to be said. Everyone is so super hyped for Destiny 2. Every Youtuber, every Tweeter (? ), basically everything I've seen is like "This is amazing, I can't wait!". When in reality, I'm watching this mess in complete disbelief! Destiny 2 just looks like a fancy Destiny DLC. It's just more of the same! They start off by telling you the Traveler has been captured, causing all guardians to lose their powers. But don't worry, you magically still have yours... and your ghost (which is powered by the Traveler, or so we were told) is still with you... so really nothing has changed. Same old Destiny here! And guess who the main enemy is? Is it a brand new species of alien from an unknown galaxy, more powerful than anything you've encountered before? Nah, it's just some Cabal dude. Don't worry, everything's the same. Change bad, same good! Brand new guns? No, not really. We're just calling the classes something different, and added SMGs. Yay! Hey, check out our new Strike! Isn't it awesome?! It looks exactly the same as the old Strikes, except the flowers on the floor are red now! Now with twice the jump portals! - Didn't I destroy their warmind or whatever in the first game? I mean, wasn't that like a big deal? - Nah, they're still around! Shoot them with your slightly different looking gun! I keep hearing "Story takes center stage in Destiny 2". Does it? Because from what I've seen, it's just a thin veneer of change, masking the fact that they're just trying to feed us more of the same. Same baked potato, different topping...? Bad metaphor, but you get it. I'm so very deeply disappointed in this reveal. I loved Destiny. I played it nearly every day for almost 2 years, then on and off for the third. It is one of the most solid gameplay experiences out there today. What turned me off in the end was that every new DLC offered me more of the same... the story never really progressed, same formulaic structure, it just got boring. None of the questions the story set up were ever answered. Who was the Stranger? Remember her? The robot lady who followed you around at the beginning of the first game? Who was she talking to? Where did the Traveler come from? What is "light"? The list goes on and on! My only hope was that Destiny 2 would answer these questions, and that new and exciting things would happen! When I heard that the Tower would be destroyed, and the Traveler captured, I was ecstatic. Too bad this reveal killed my enthusiasm... It just murdered it, and now it's dead. "At the side of the everlasting why, there is a yes, and a yes, and a yes"